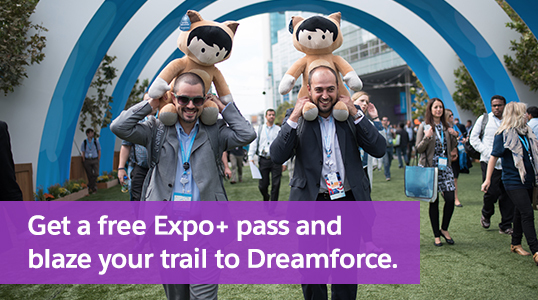 Test drive thousands of customer success solutions and partners at the Cloud Expo. Dive deep into Salesforce with select product and solution keynotes. Relax, have fun, and give back at the Dreampark. Create positive change at the Day of Compassion Keynote. Don’t miss this amazing opportunity to be part of the community and network with fellow Customer Trailblazers. * Please note, your free Expo+ pass gives you access to select events on Thursday, October 6 and Friday, October 7 only. No Tuesday and Wednesday access is included in the pass.